Movement is important for humans. Our body was created to allow us to make every kind of fine movements from talking, writing, playing piano, swimming to running. Muscles send messages to the brain that, in return, regulate their functioning. If a muscle is not properly used or not used at all, it loses its tone while leading to a more or less severe impairment of the body district where it is located. Moreover, a general body movement promotes circulation, cardiac tone and individual sense of wellbeing. For these reasons, we believe that a trekking experience can be extremely beneficial for everybody who can afford it from a medical point of view. However, la Quercia adds to the medical benefits the possibility of sharing experiences with others, of facing common difficulties and achievements while walking in unknown territories and discovering new (out and inner) landscapes. There is no standard trekking program. 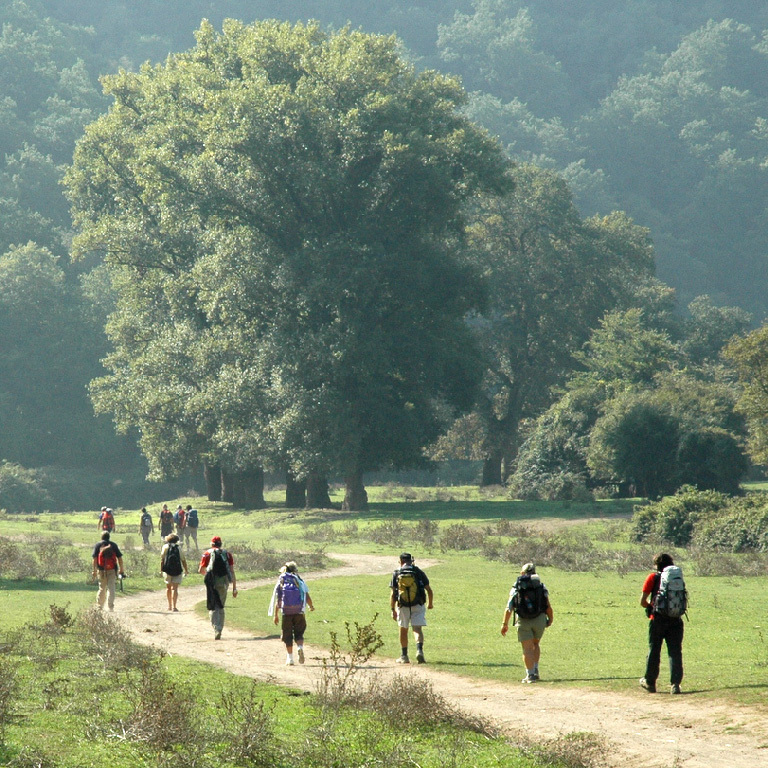 Every trekking activity is a different journey in which we discover another part of the Francigena or the Italian Alps. The Via Francigena (http://www.viefrancigene.org/en/) is the common name of an ancient road and pilgrim route running from France to Rome. As such, the route passes through Milano, Parma, Lucca, San Gimignano, Siena, Rome and further down to Jerusalem. The route was known in Italy as the "Via Francigena" ("the road that comes from France"). In mediaeval times it was an important road and pilgrimage route for those wishing to visit the Holy See and the tombs of the apostles Peter and Paul.